Delivery time This is a custom order item made in Virginia. Lead times are 4-6 weeks. Orders must be placed in store or over the phone. 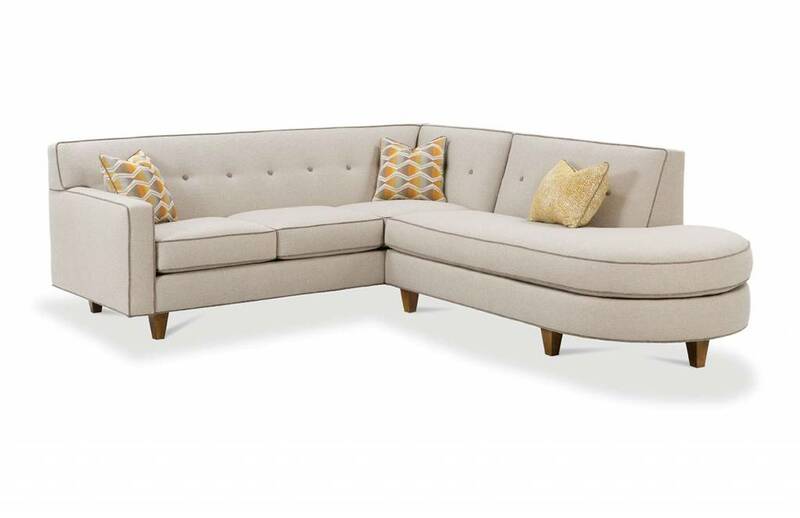 The Dorset Sofa features tight-back, button tufted back cushions, track arms and sleek tapered legs for a truly Mid-Century modern feel. This is available as a special order and is available in over 1000 fabrics. 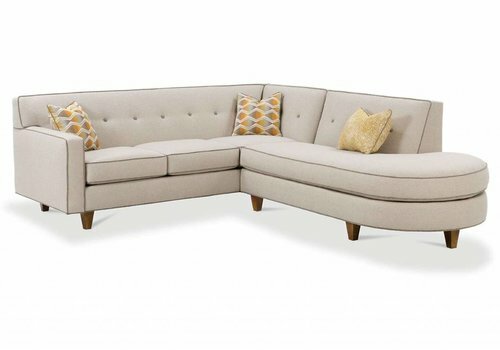 The Dorset Sofa features tight-back, button tufted back cushions, track arms and sleek tapered legs for a truly Mid-Century modern feel. Have a specific size in mind? 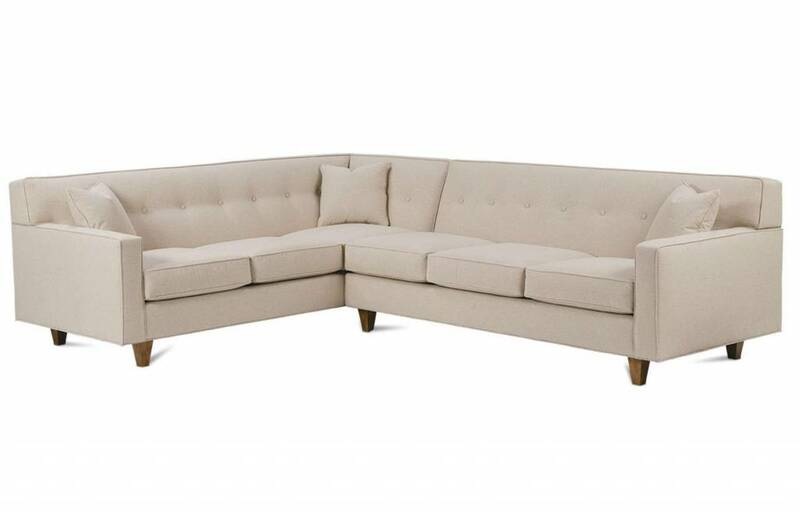 Dorset is available as a 75" Sofa, 80" Sofa, or 88" Sofa. 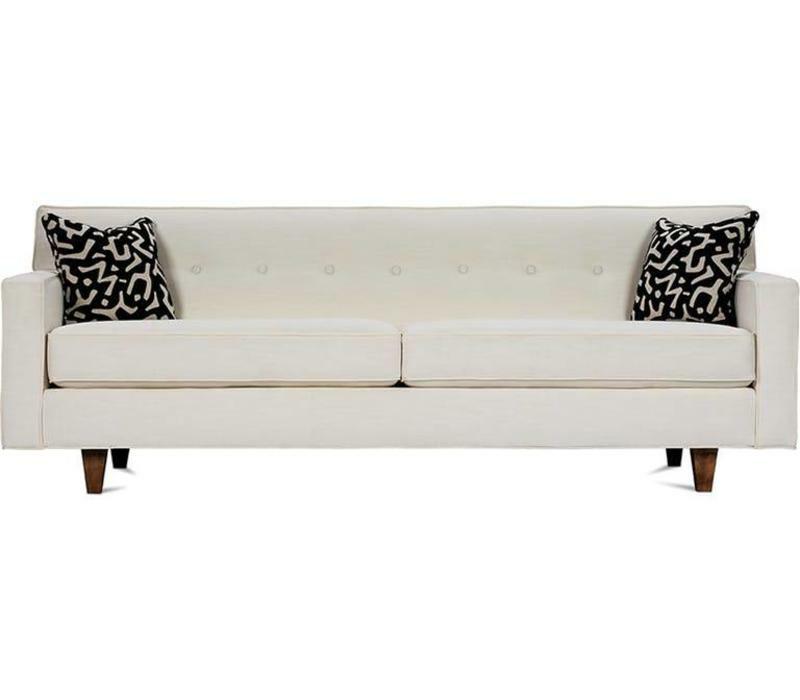 An 80" Sleeper is also available. 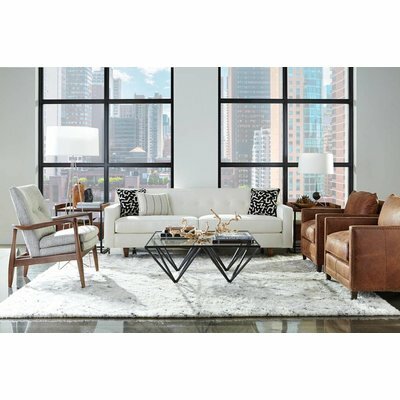 Available in three sizes, 75", 80", and 88"
Frames: Constructed of furniture grade laminates and solid kiln-dried hardwoods, our frames are built to last. Mortise and tenon, double dowel and corner block construction provide solid long lasting joints. Robin Bruce backs all of their frames with a limited lifetime warranty. Spring: A heavy gauge steel spring system provides the base for a wonderfully comfortable and long-lasting seat. Springs are placed 4”-5” apart for uniform comfort and doubled up on each end to withstand the wear and tear that comes from everyday use. 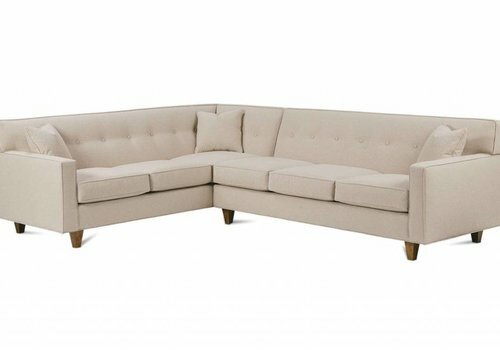 Cushions: The standard cushion is made with a high-resiliency polyurethane foam core wrapped with a layer of soft polyester fiber. 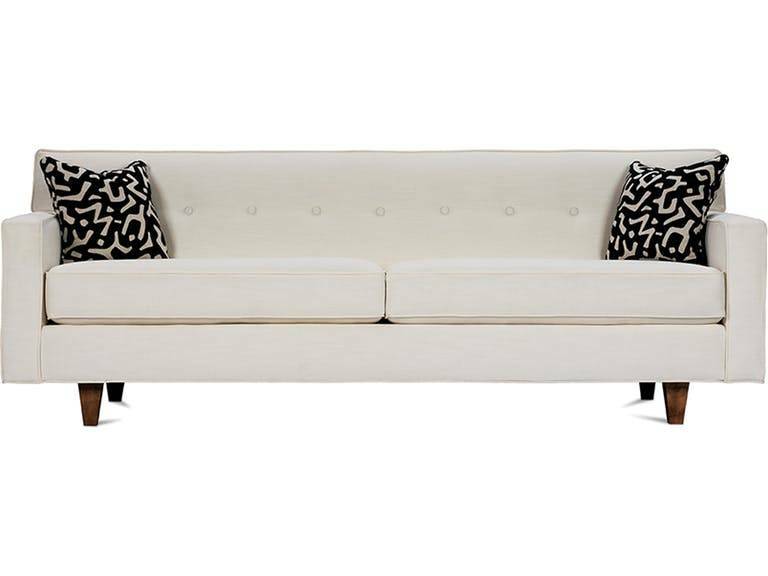 High-resiliency (HR) foam is important because it delivers the right amount of support, sink-in comfort and bounce-back. 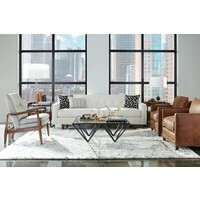 The polyester wrap provides surface softness and shape. Sometimes the cushions are bagged to create a cushion with less crown. 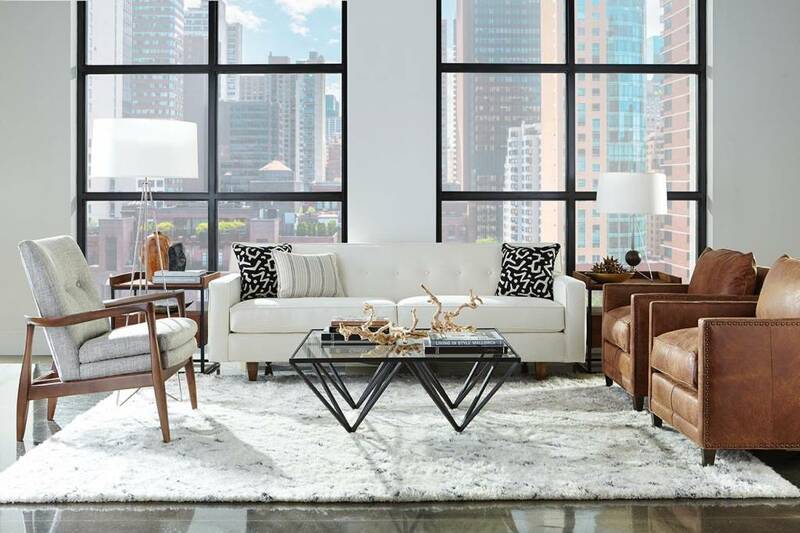 Rowe prides itself on being a founding member of the Sustainable Furnishings Council. We believe in the impact responsible manufacturing can have on our environment and our world. We are committed to incorporating eco-friendly elements into our products and to practicing environmentally friendly habits in the workplace. 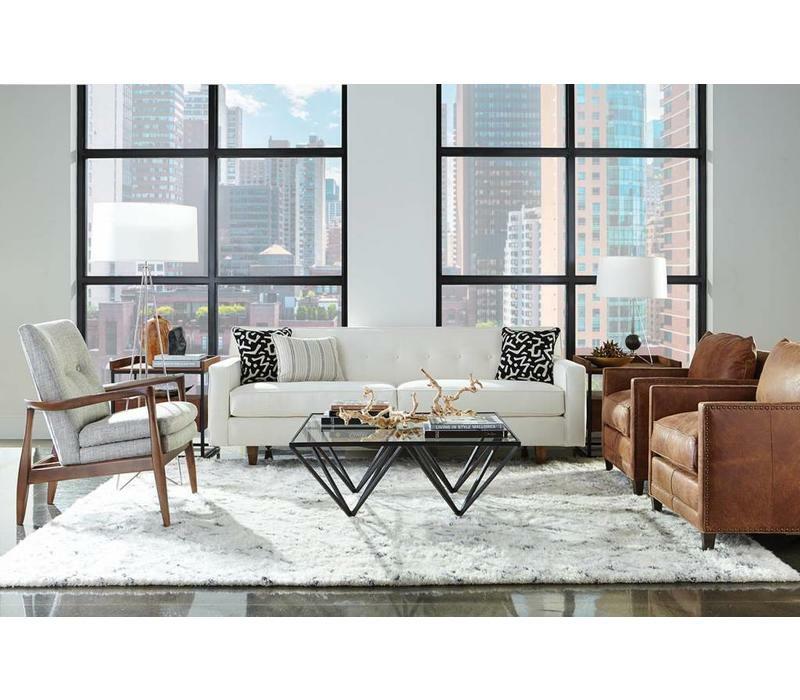 The Dorset Sectional features tight-back, button tufted back cushions, track arms and sleek tapered legs for a truly Mid-Century modern feel. This is available as a special order in over 1000 fabrics!